On the south coast of Sri Lanka, turtles have laid their eggs for generations. Swimming in from the Indian Ocean, they drag themselves up the sand on the beaches near the city of Galle and dig their nests, where they leave the eggs. Weeks later, their babies should hatch and make their way down to the coastline and into the water. Not all baby turtles survive. In fact, the natural survival rate of newborn turtles around the world is normally around five per cent. This is all part of a balanced ecosystem, though. Turtles usually lay more than a hundred eggs, so enough make it through to keep the species going. The rest become food for predators, which helps those species survive. As is often the case, though, there’s one species that is ruining it all. Humans. The turtles that lay their eggs on the Sri Lankan beaches are under threat because of human activity – and they have been for decades. But in more recent times, there have been some conservation efforts to try to address the crisis. One of these efforts is the Kosgoda Turtle Hatchery. It was started almost 40 years ago and is still going today. I meet Madurnga when I arrive. He’s been working here for eight years and one of the things he does is show tourists around the centre. He has a big smile and a friendly demeanour. When he speaks English, he skips a lot of words in a sentence, yet he is still somehow easy to understand. He – like anyone born in this part of the coast in Sri Lanka – also knows some of the reasons that the turtles are under threat. What he doesn’t mention is that locals have a tradition of collecting turtle eggs to eat and even hunting the adult animals for food or to sell. Still, this is now changing because of these sorts of projects. Madurnga shows me around and explains how things work at the Kosgoda Turtle Hatchery. The short version is that local fishermen find the eggs that the turtles have laid on the beach and they collect them and sell them to the centre. For each egg, they get 30 rupee (about 20 US cents). This is a better deal for them than eating them, which is why they are happy to do this. The eggs are then buried in a sandpit here and looked after until it’s time for them to hatch. Once they are hatched, they are kept in a tank for a few days and fed. Then the males are taken down the beach and released in the most natural way possible. Meanwhile, the females are kept at the centre and looked after for another five years before they’re released. It’s less common to get baby turtle females and the idea is that they are much more likely to survive this way. Along the stretch of Sri Lankan coast where the turtles come, there are now six hatcheries like this one. Every year, up to 400 turtles lay eggs here. 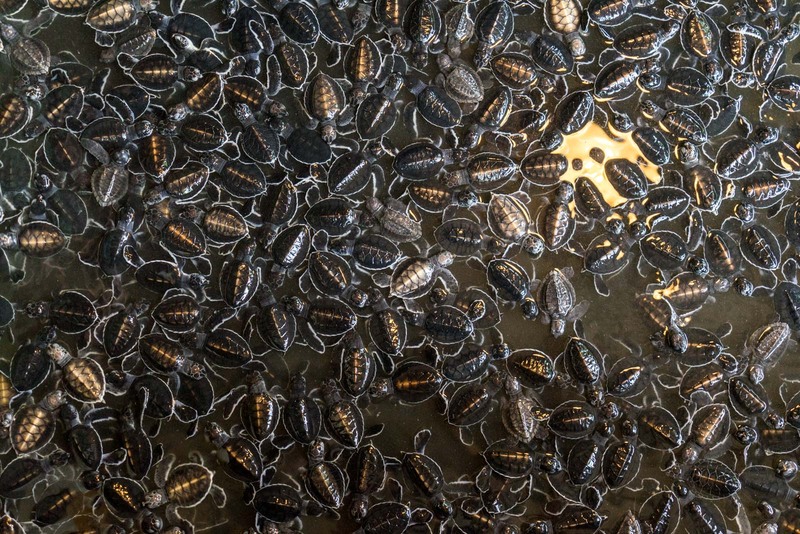 A single hatchery could release up to about 7000 baby turtles in a year – although, just as in situations without human intervention, probably only about 5 per cent would survive. There is a problem, though, and it’s a tricky one. 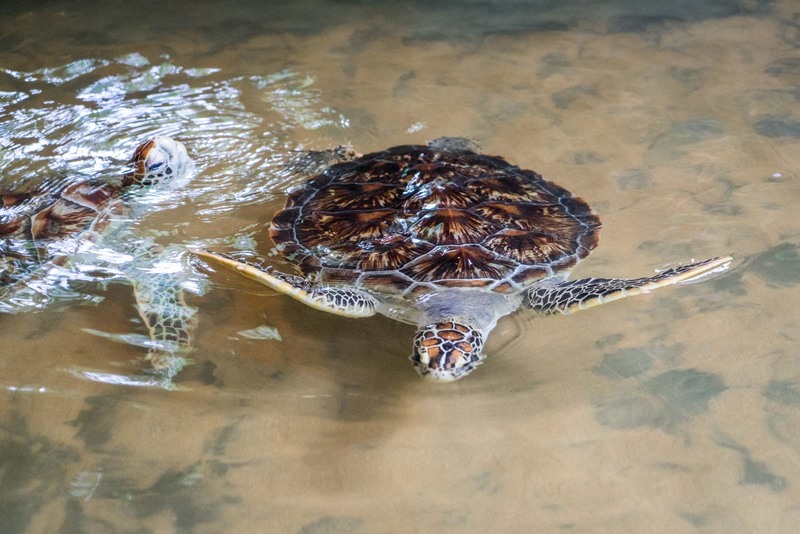 We don’t actually know how many turtles survive – and we don’t know whether some of the things that conservation projects like the Kosgoda Turtle Hatchery are doing are actually causing any harm. Take for instance the decision to keep the turtles in tanks for a few days before releasing them. In nature, turtles eat the liquid inside their eggs just before they hatch, to give them energy to swim for a few days out into open water where they will be safer and be able to stop and feed properly. Do the baby turtles use up all this energy in the tanks and then find themselves unable to swim to safety? What about the decision to keep the female turtles until they are five years old? One of the fascinating things about turtles is the way they pick up electromagnetic signals from the earth as they rush down to the water as soon as they hatch. The females use this information to return to the same beach to lay their eggs. But can they still do this five years later and, if not, what does that mean for breeding? It’s usually about 30 years until a turtle reaches sexual maturity so we should only be finding out now if they are returning. As a comparison, you may be interested to read this story I wrote about baby turtles hatching in Queensland, which shows the measures taken to give the animals as natural a start to life as possible. And then there’s also the issue of tourism. 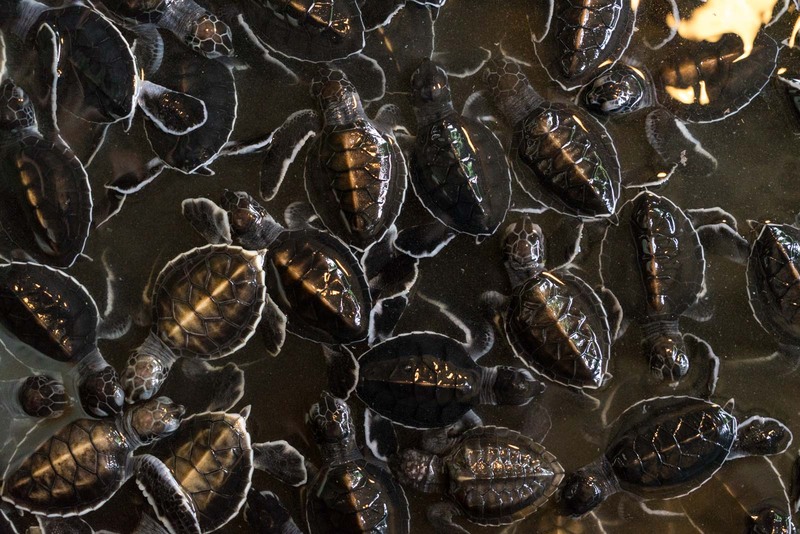 Visitors are encouraged to pick up a baby turtle and move it from the sand where it’s just hatched to the water tank. While I think this is probably relatively harmless (and one of the workers would need to do it anyway), this is yet another unnatural intervention in the process of a baby turtle’s life. I also do wonder what else has been slightly staged or done a certain way for the benefit of tourists and what effect it has. In this respect, there are some similarities to the situation I wrote about at the Pinnawala Elephant Orphanage. Still, having raised these concerns, my conclusion is that these hatcheries are better than nothing and they certainly are increasing the survival rates of the species more than if there were no conservation efforts. These projects have also been established concurrently with an increased awareness in the community, including lessons at schools about the important of looking after animals. 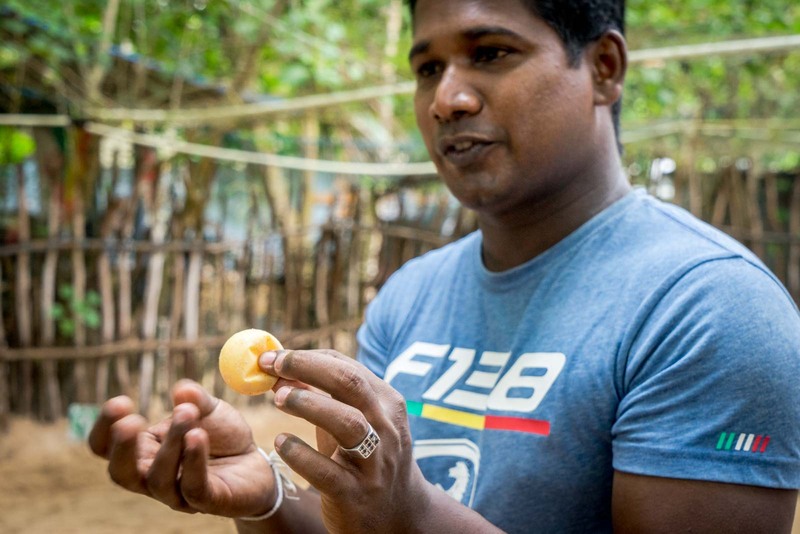 Madurnga says that means most young Sri Lankans don’t interfere with the animals or their eggs. 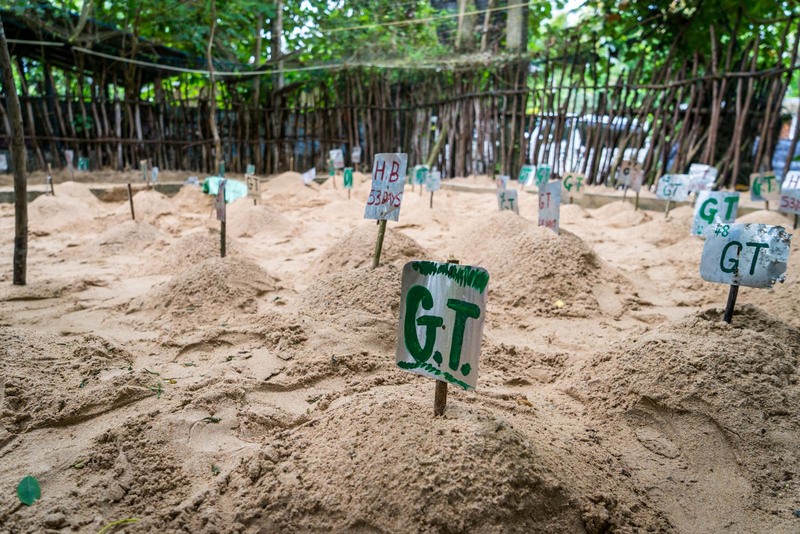 The best thing we can hope for is that there will be a time in the near future when we don’t need hatcheries like these, when turtles will be able to lay their eggs on Sri Lanka’s beaches and they will hatch naturally. When that day comes, then these projects will have played their part. Where is the Kosgoda Turtle Hatchery? 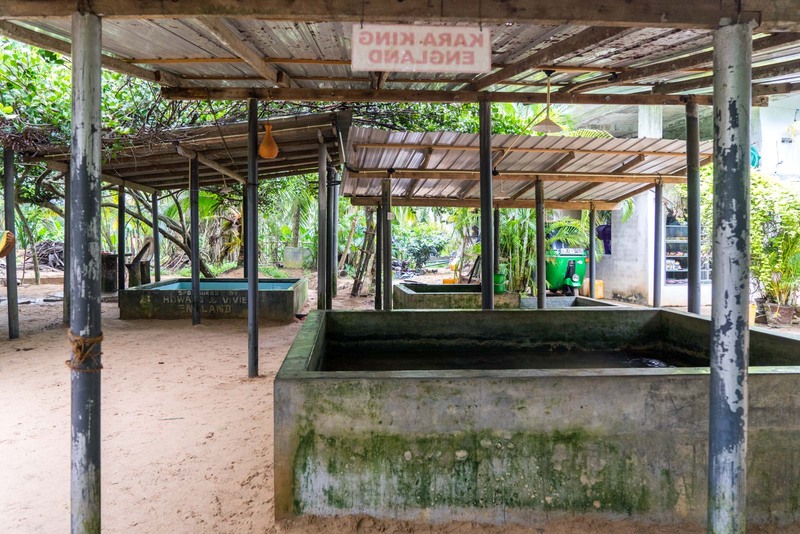 The Kosgoda Turtle Hatchery is just off the main highway between Colombo and Galle. The official address is Welipaara, Hiddaruwa, Kosgoda. You can see it on a map here. Where should you stay in Galle? If you’re looking for a budget option, I would suggest the cool Pedlar’s Inn Hostel. For a nice hotel with local hospitality and a good price, Indika’s Residence is a favourite. For a trendy place full of art, check out Antic Guesthouse, which also has great breakfast. And if you want to splurge for the best in Galle, have a look at Jetwing Lighthouse. Time Travel Turtle was a guest of the Sri Lanka Tourism Board but the opinions, over-written descriptions and bad jokes are his own. WANT TO KNOW MORE ABOUT SRI LANKA? These painted caves are not to be missed! Why is Sri Lanka so expensive? 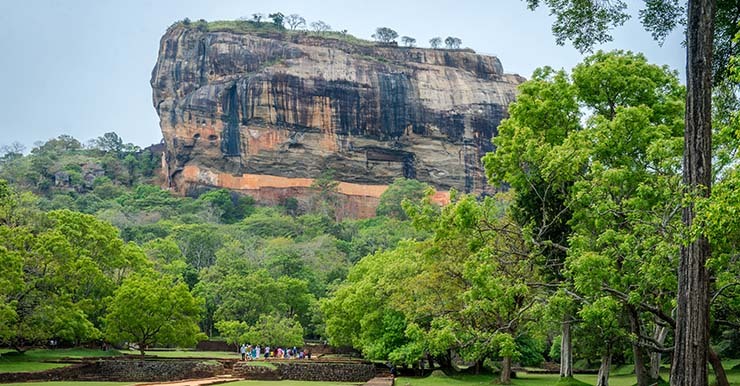 You may also want to consider taking a Sri Lanka tour, rather than organising everything on your own. It’s also a nice way to have company if you are travelling solo. I am a ‘Wanderer’ with G Adventures and they have great tours in Sri Lanka. This is so informative. I had no clue about it. Thanks for sharing! Delighted to read. thats great but can someone tell me what time of the year do the turtles hatch please?